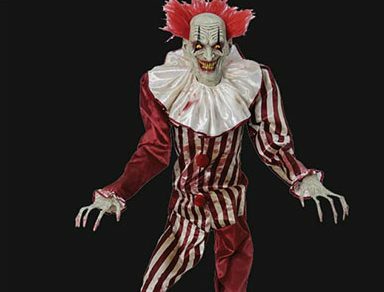 We told you something big was coming back in June for Halloween 2017 and now Spirit Halloween has officially unveiled the 7′ Creepy Towering Clown Animatronic. Even though Spirit is rolling it out now it’s been for sale on Amazon.com for quite sometime for $199.99. Spirit tweeted out a teaser yesterday for the Creepy Towering Clown. Today Spirit finally unveiled their 6.5′ tall Evil Clown on their Youtube page. The clown is really cool and has two sayings in addition to just laughing at you and your friends. I love animatronic Halloween props and I can be rather snooty when it comes to the ones I want to add to my collection. 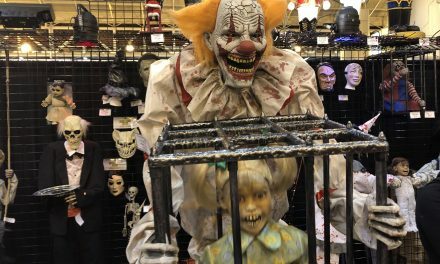 Most years I will add a few props before Halloween and then wait until November 1 to buy a few I’ve been on the fence on since the big box Spirit Halloween and Halloween Express stores will reduce to half price. 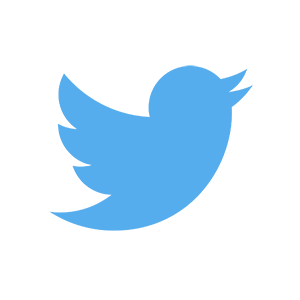 The store owners don’t want to put things into storage and will try to clear out all their inventory by slashing prices. That’s the best time to buy. But, as I stated before I will buy some before Halloween at full price. 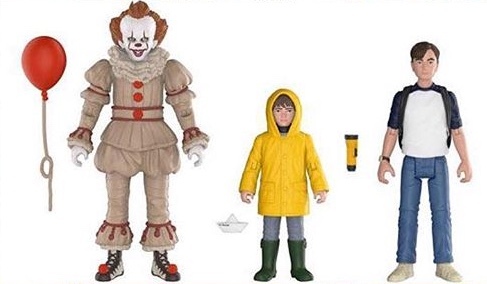 The Creepy Towering Clown/7 Foot Tall Evil Clown is one I will be buying and paying full retail for. 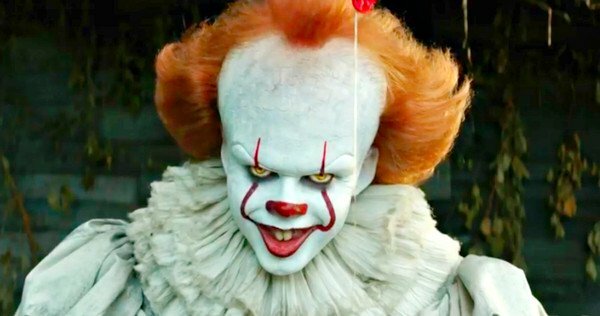 I’m a sucker for clown animated props and this guy really stands out due to his height and also how realistic he looks. 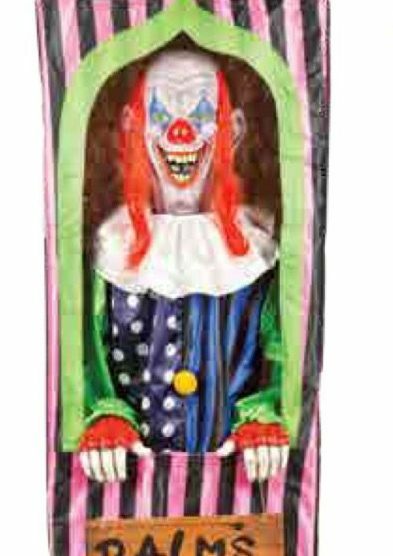 Spirit Halloween can’t hit a homerun with every prop they put out but I feel the 7 Foot Tall Evil Clown is one of the best I’ve seen for 2017 so far. The only other one that jumped out at me was the Animated Arkham Joker from Morbid. He hasn’t been released yet and I’m guessing there was a problem with securing the license from Warner Brothers. If you buy the prop from Spirit it is due to ship by the end of July. Amazon is also offering it and the prop is in stock on their site. You can also get it from the Spirit stores that will be opening in late August/early October. NextWhen Will Stores Start To Put Out 2017 Halloween Items?